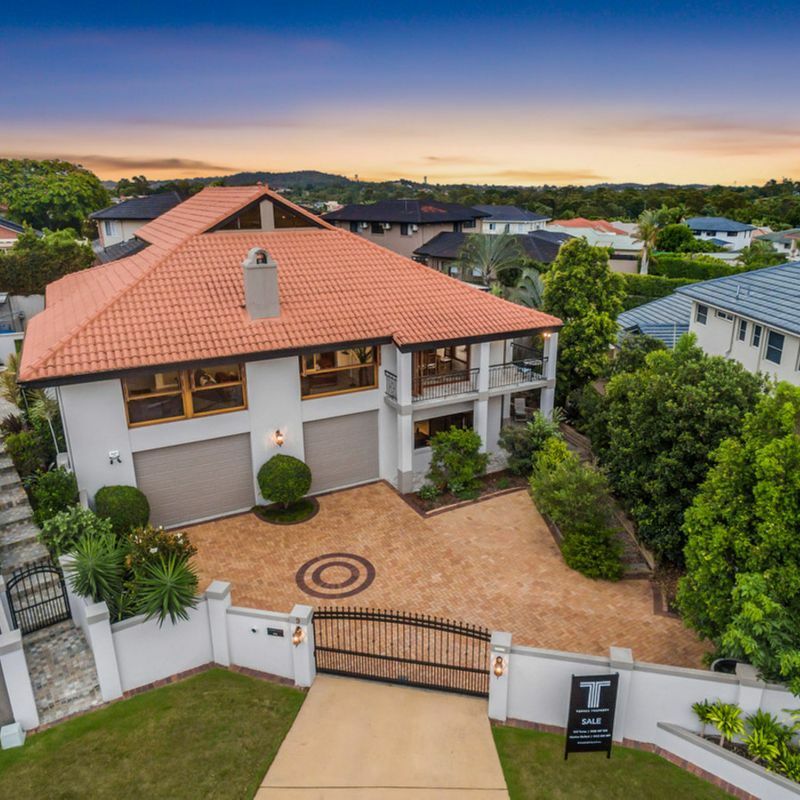 Boasting outstanding quality over three flawlessly designed levels, this elegant and architectural home presents sophisticated living with a European flair. 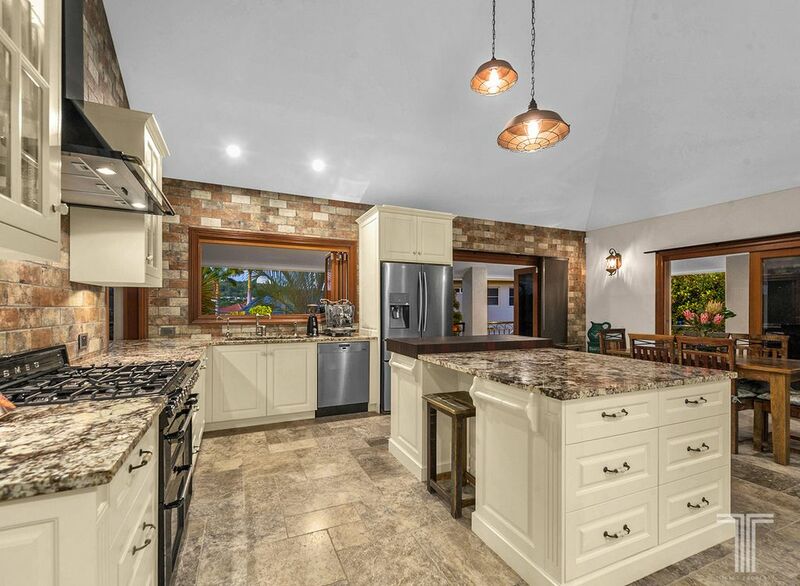 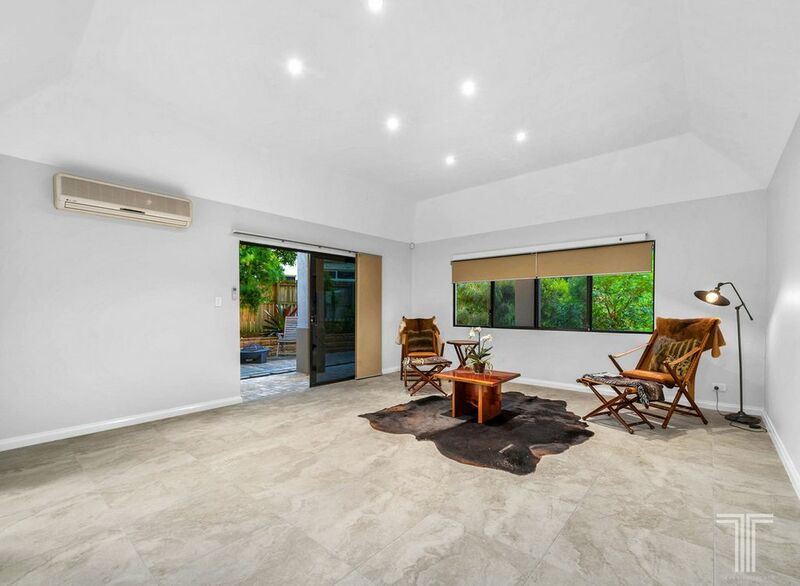 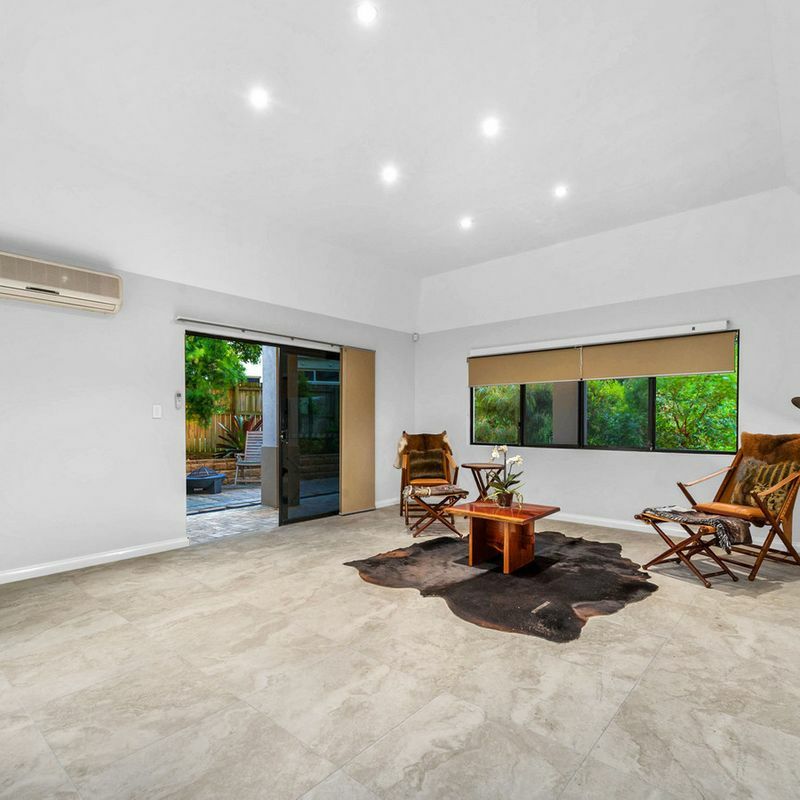 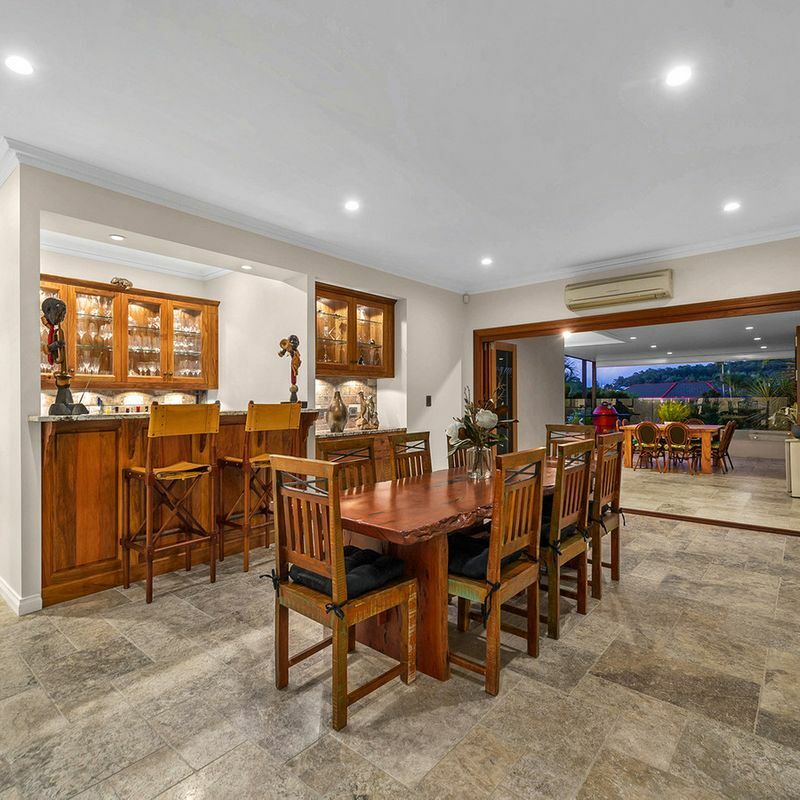 Showcasing the very best of indoor living and outdoor entertaining alongside a solid construction and build, every element of this home presents style, functionality and convenience at every turn. 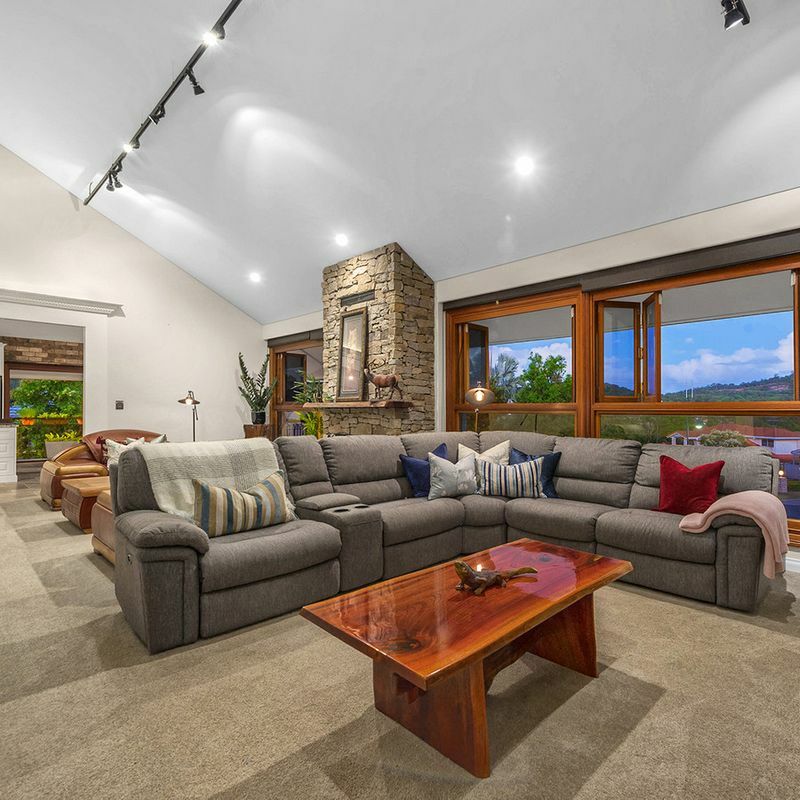 Destined to impress, the sprawling living room is filled with warmth and light. 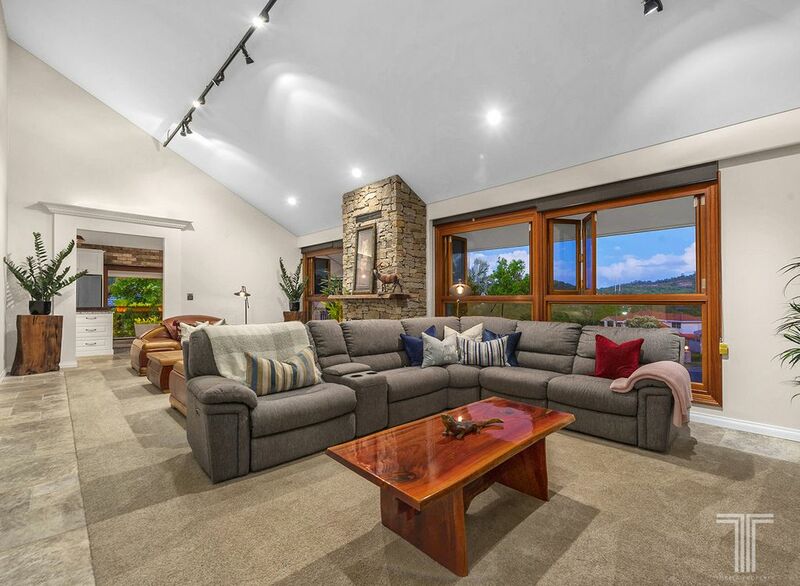 Composed of soaring slanted ceilings, Travertine floor tiles, striking fireplace and rows of timber framed windows to draw in picture-perfect views, you will be captivated from the moment you step inside. 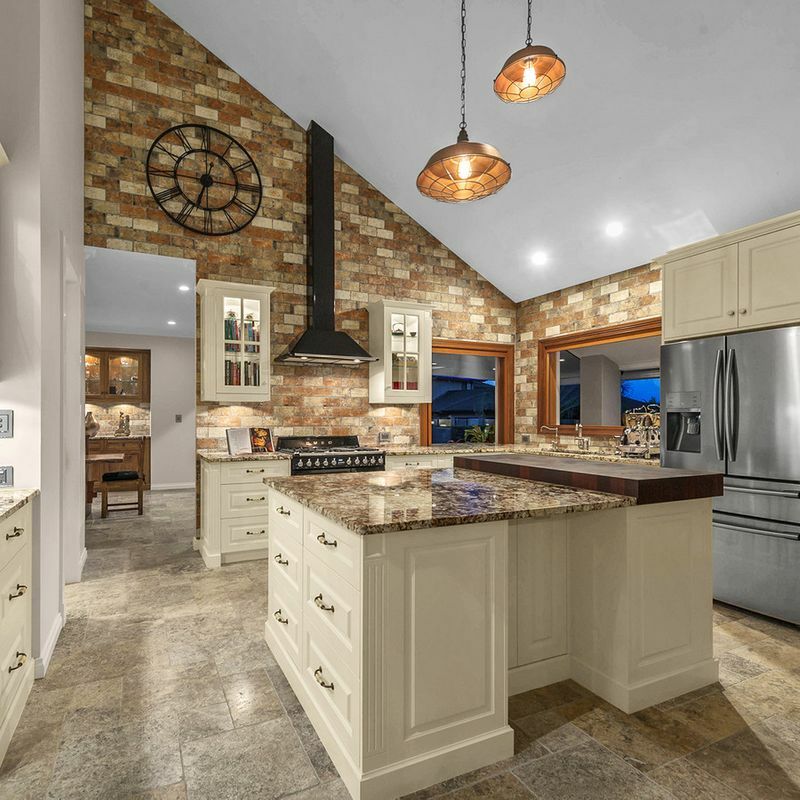 A true focal point of the home and finished to perfection, the exquisite European kitchen has had no detail overlooked. 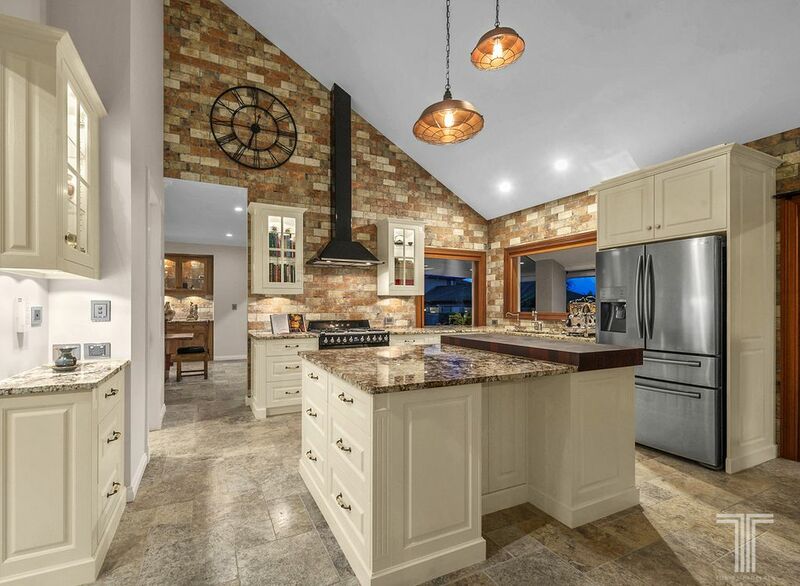 Designed by award-winning Dana Kitchens, this culinary haven is adorned with beautiful hand painted cabinetry, stylish brick-look wall tiles, walk-in butler’s pantry, top of the range Smeg gas cooktop with double oven, built-in jarrah cutting board and stunning granite benchtops with centre island bench. 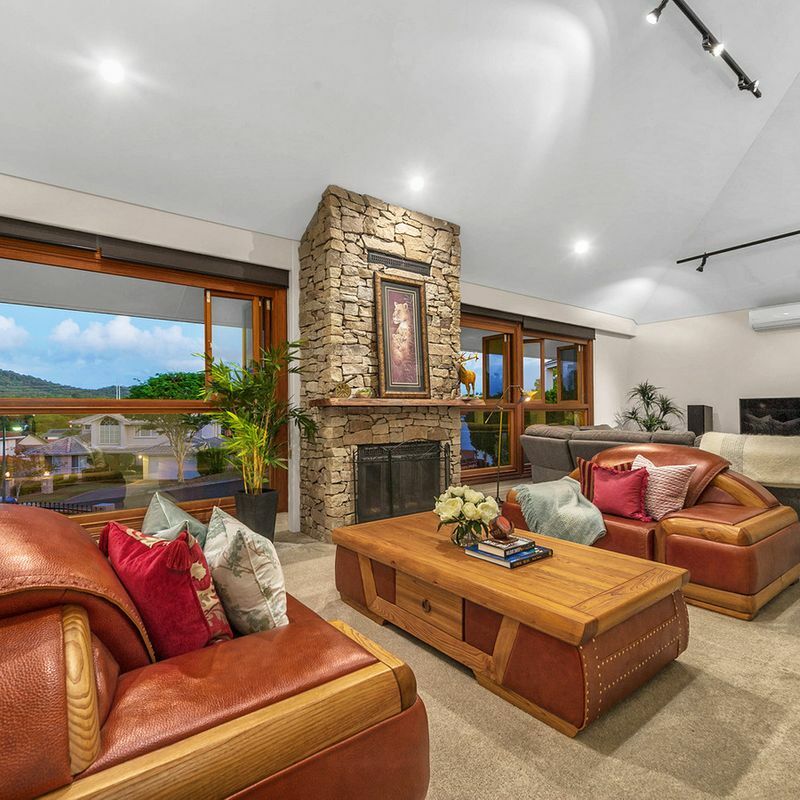 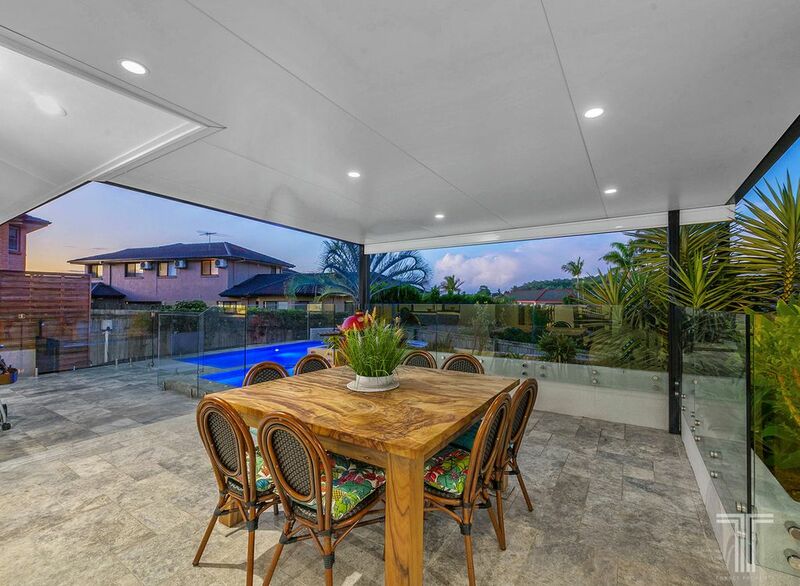 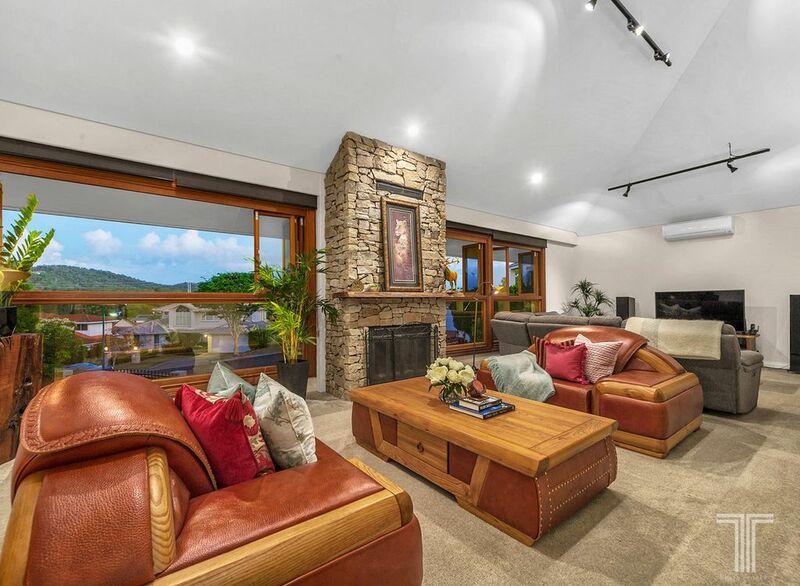 Complete with a light filled dining area framed by rows of bi-fold doors leading onto an entertainer’s balcony with cooling north-easterly bay breezes, preparing and enjoying meals here will be a delight. 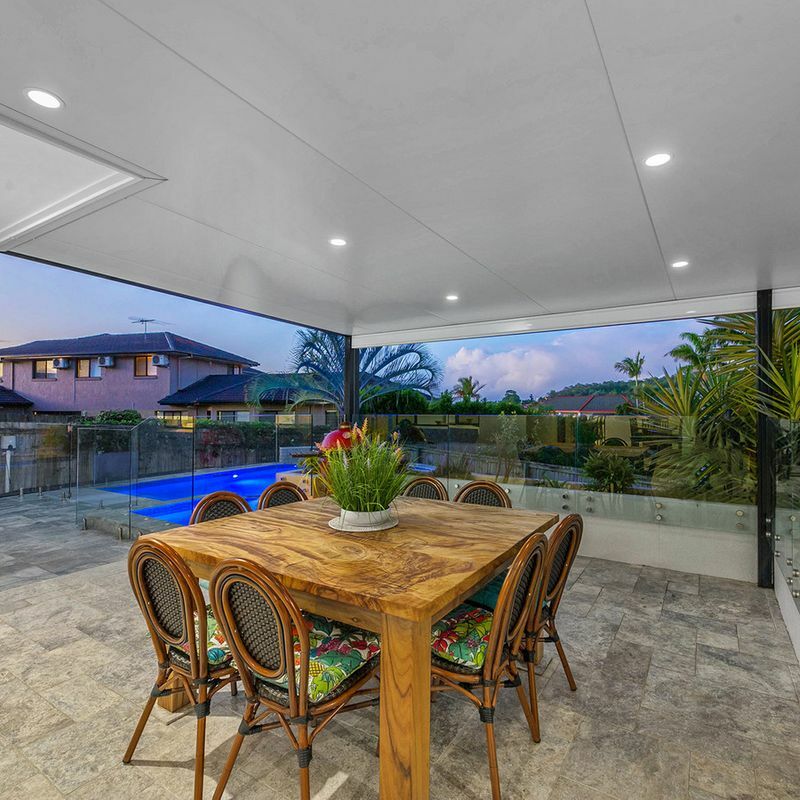 The ultimate outdoor oasis, a separate dining room with a built-in wet bar flows out effortlessly to a spectacular alfresco terrace. 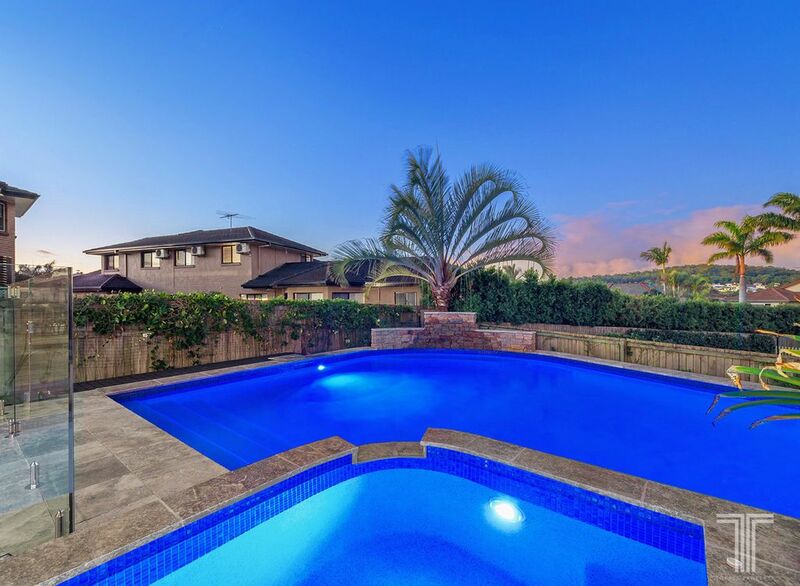 Gazing over the glimmering swimming pool and spa, there is simply no place better to spend summer days and nights. 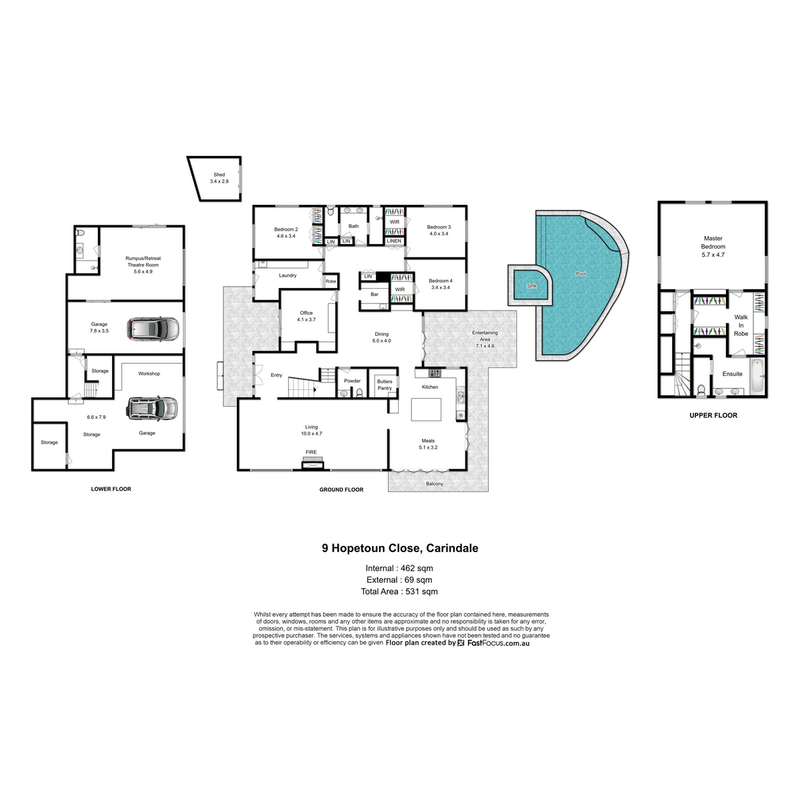 Completing this main living level, three bedrooms with walk-in or built-in robes access a granite bathroom. 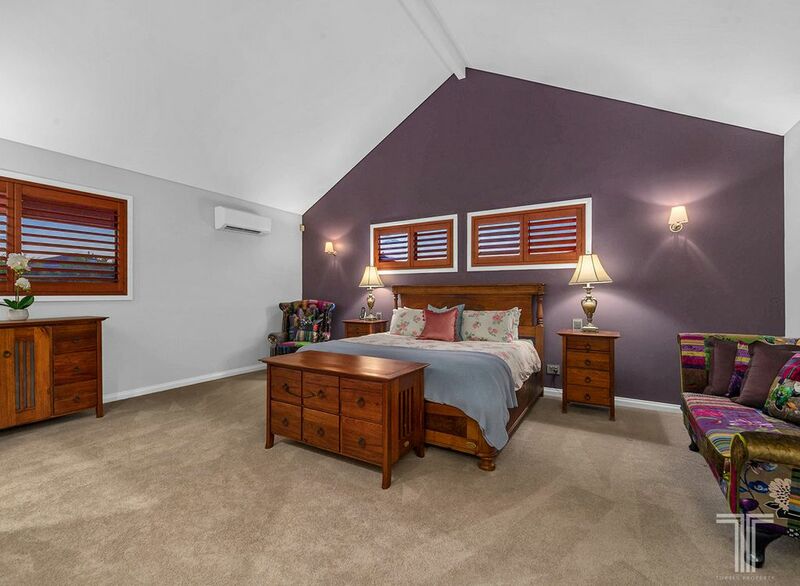 Enjoying a floor all to itself, the master suite is situated high on the third floor. 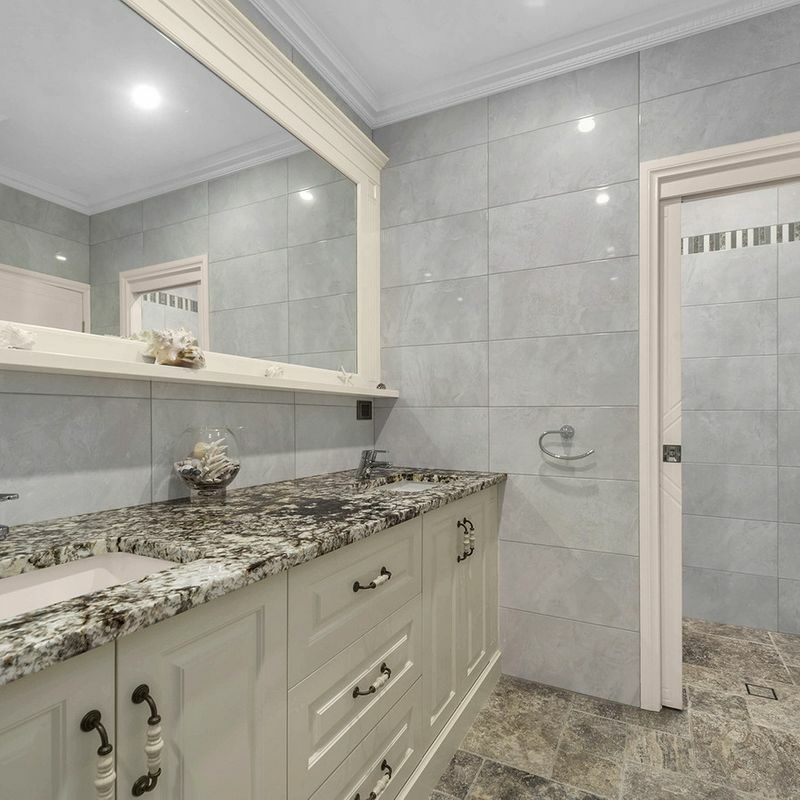 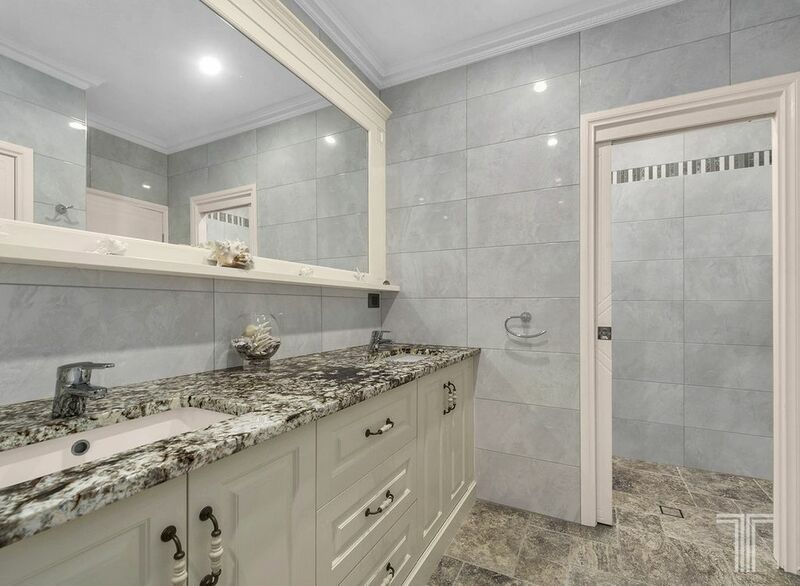 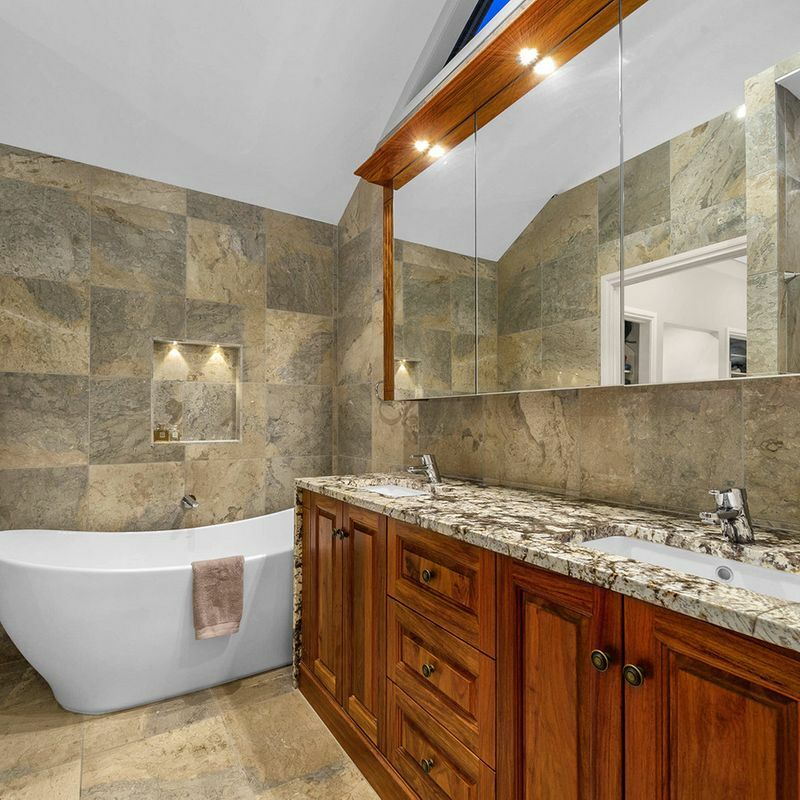 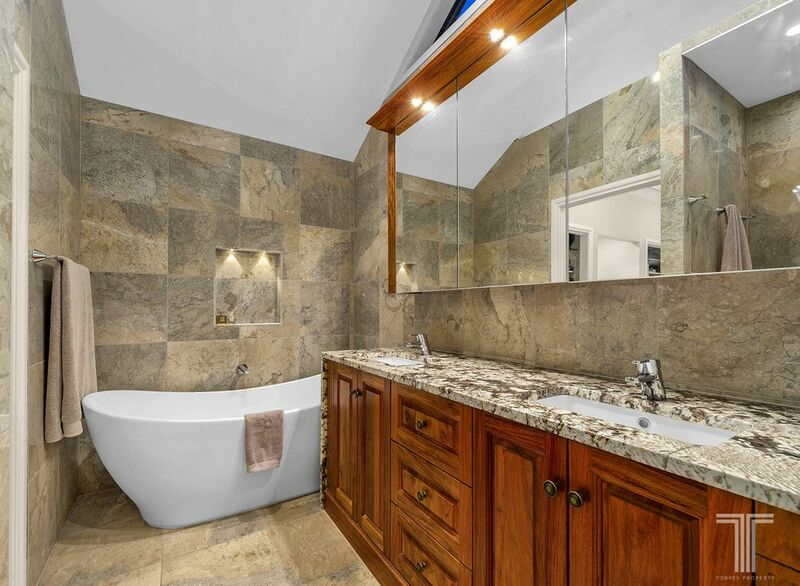 Featuring a lavish walk-through robe with full fit-out and deluxe ensuite with marble floors, tiles, double sized shower and deep relaxing bath, this decadent suite is a true parent’s retreat. 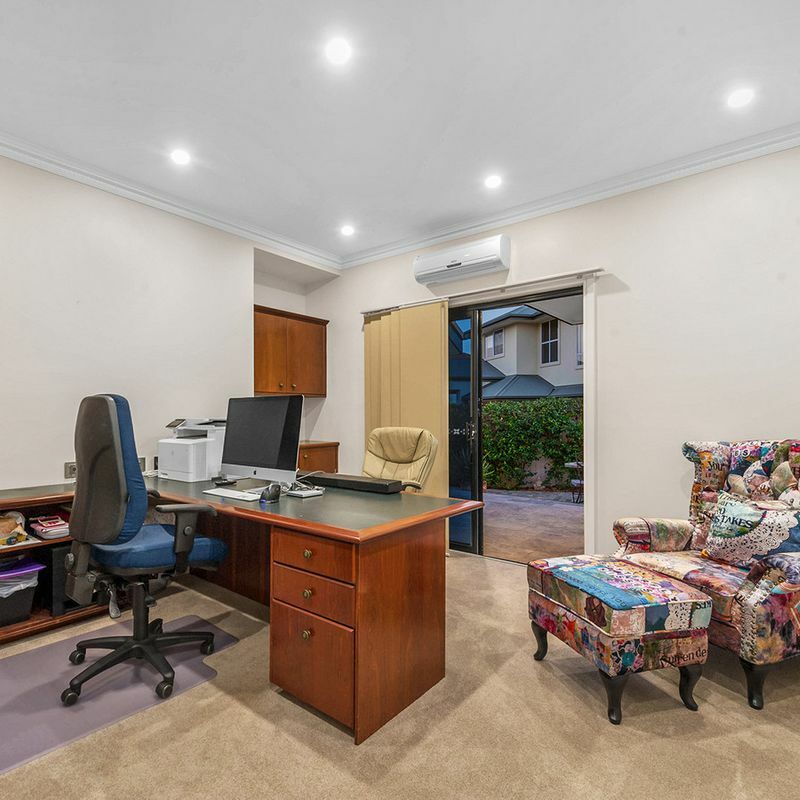 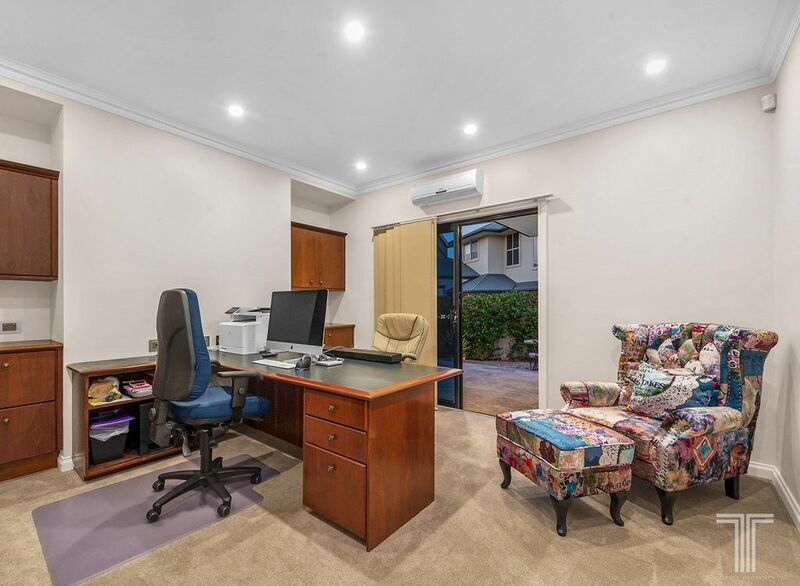 Further, this grand residence includes a home office with private entry on the middle level and a spacious rumpus room/home theatre complete with full-size bathroom located on the ground floor. 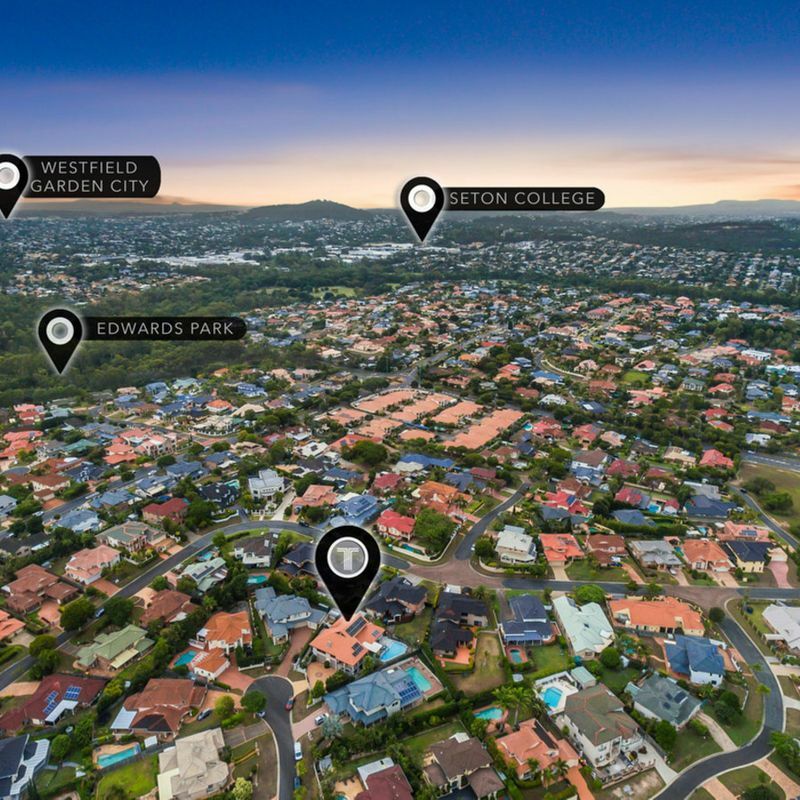 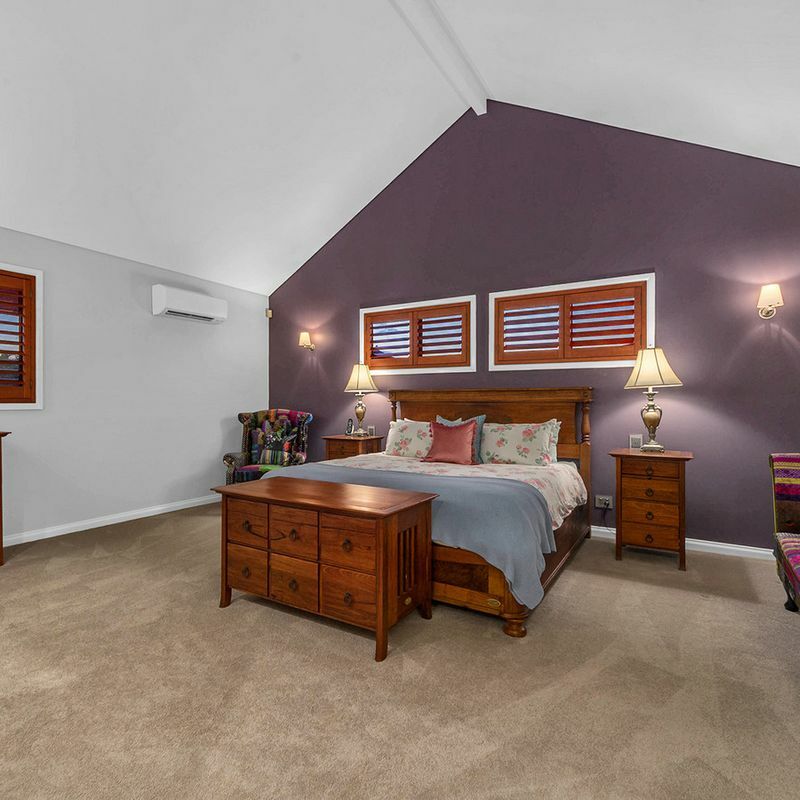 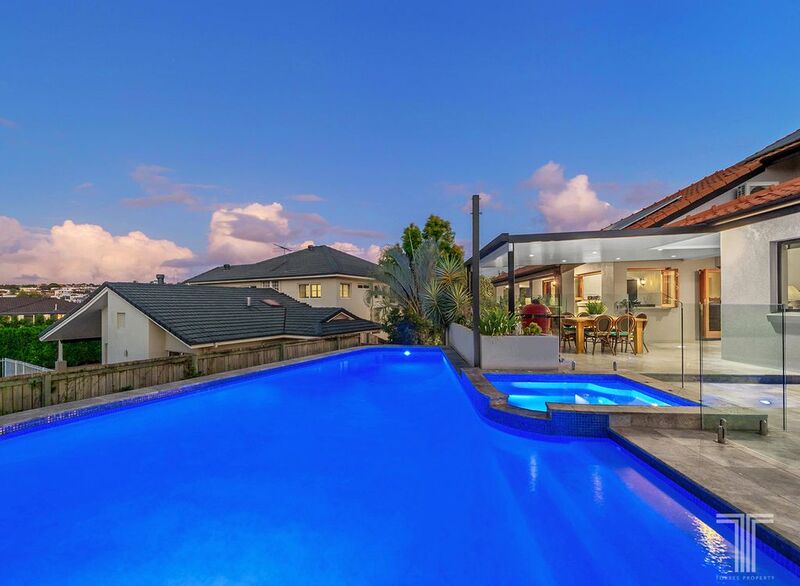 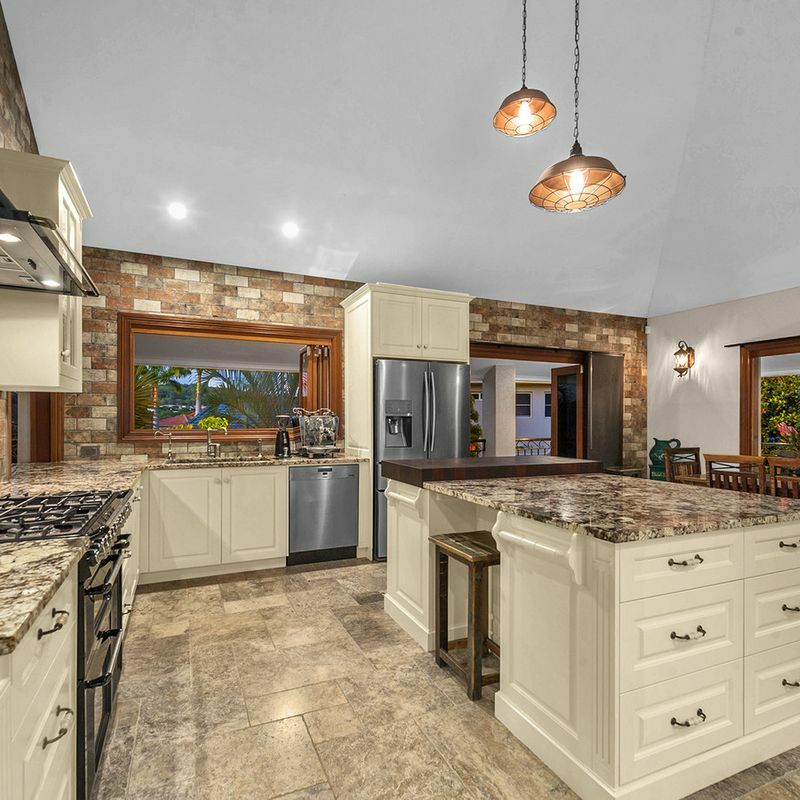 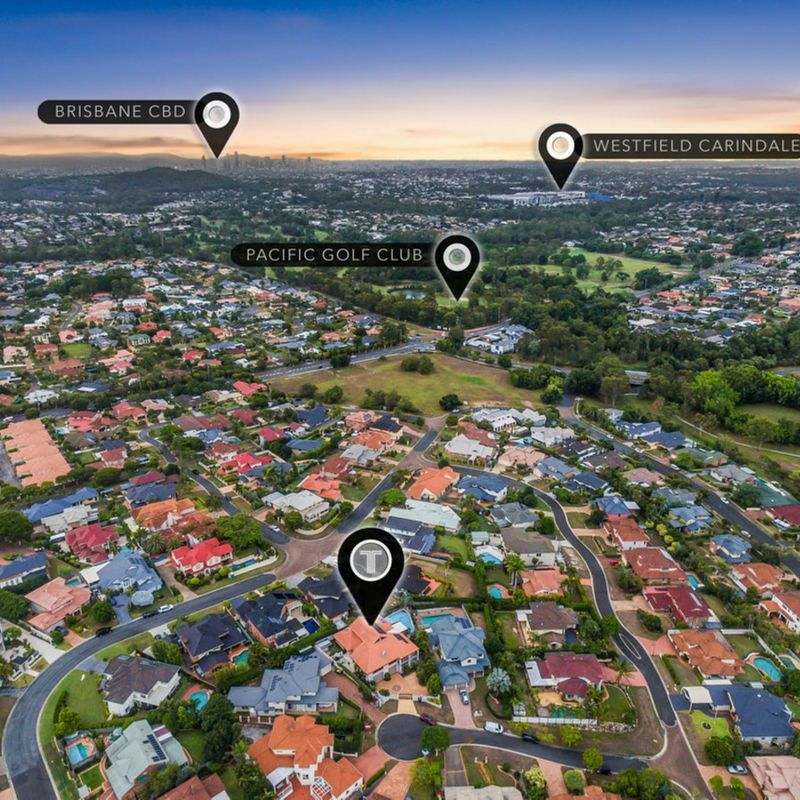 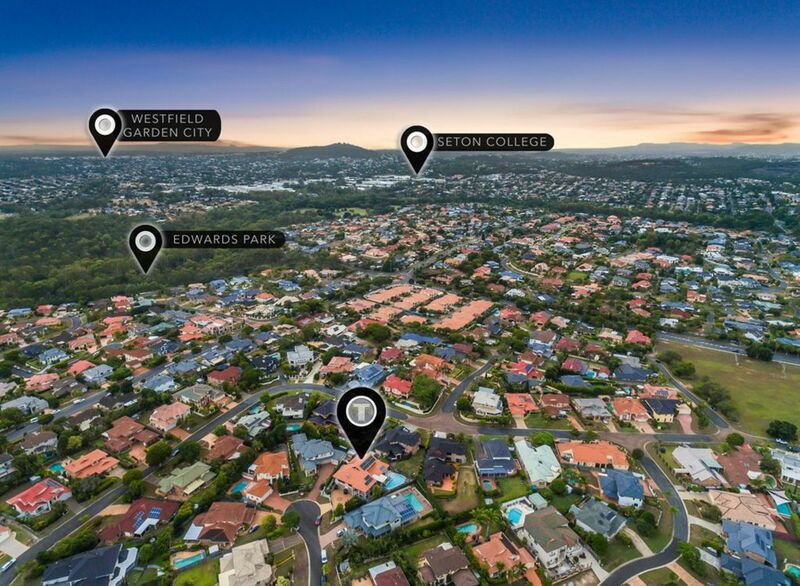 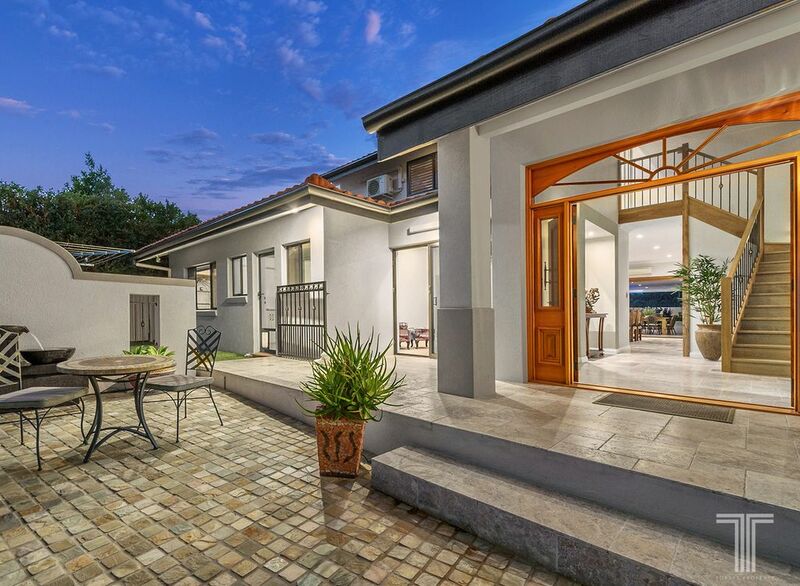 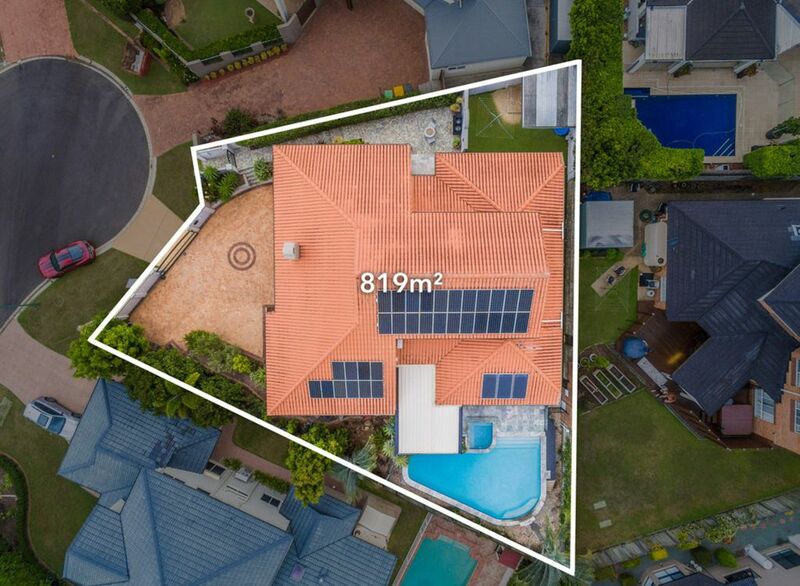 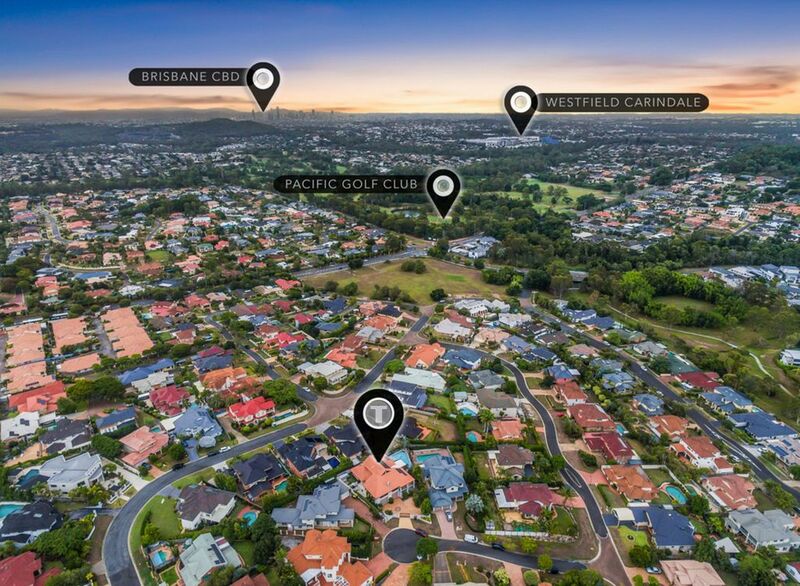 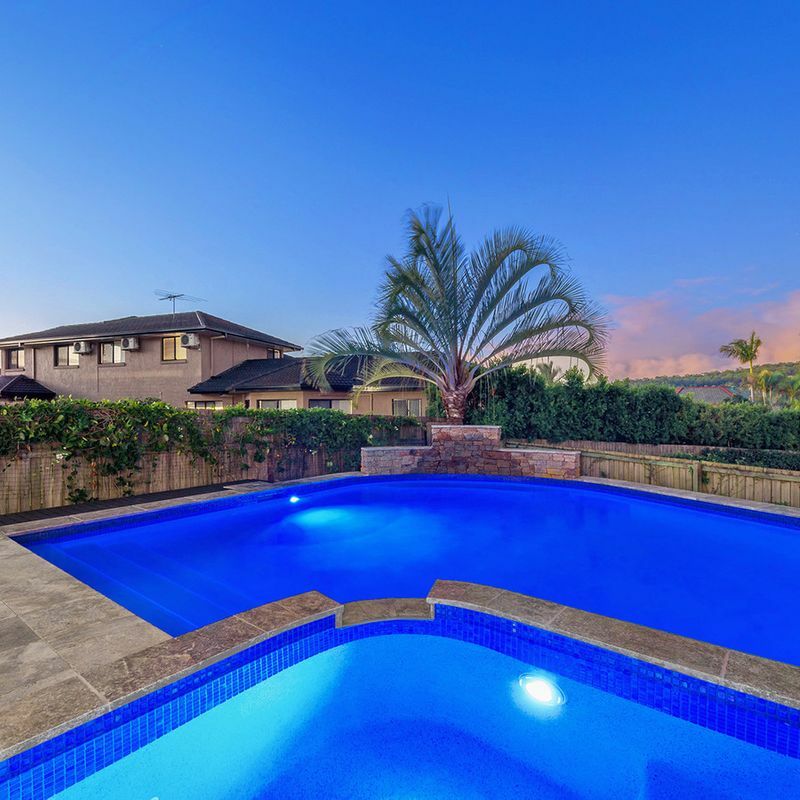 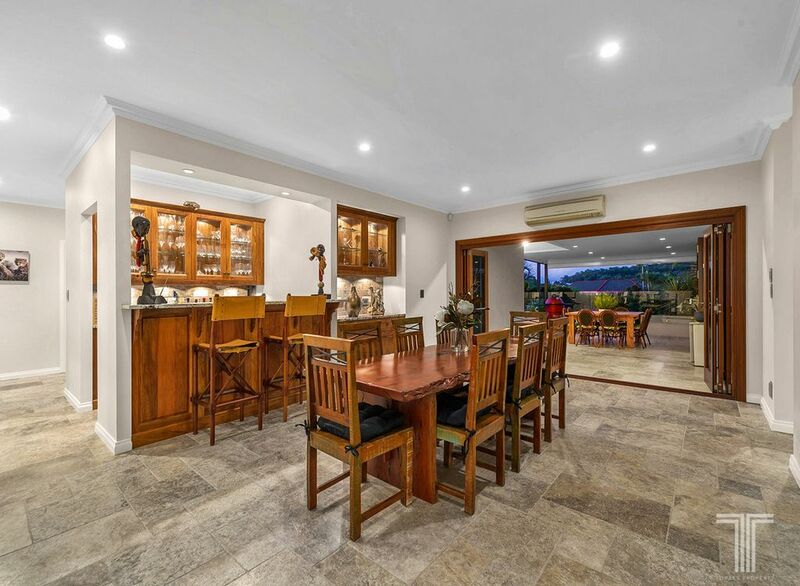 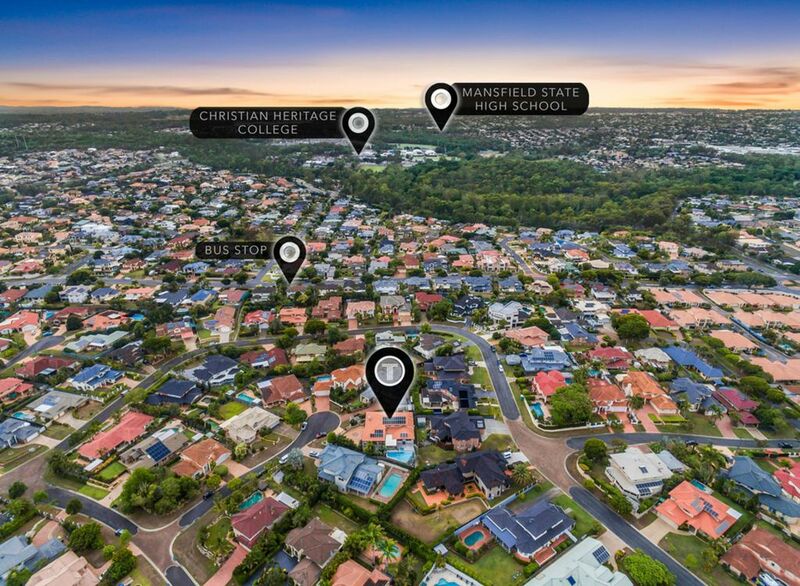 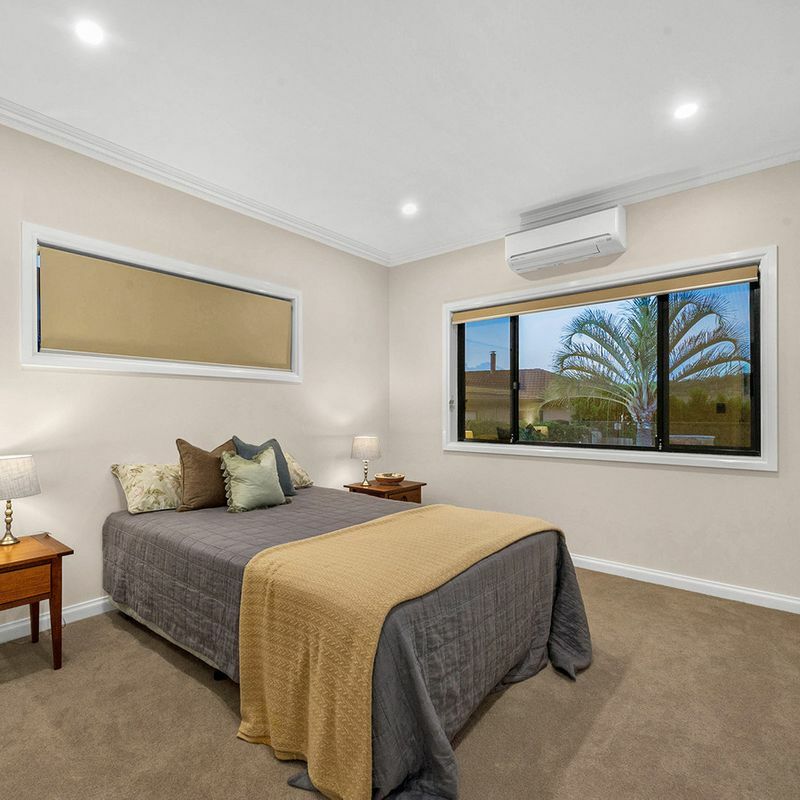 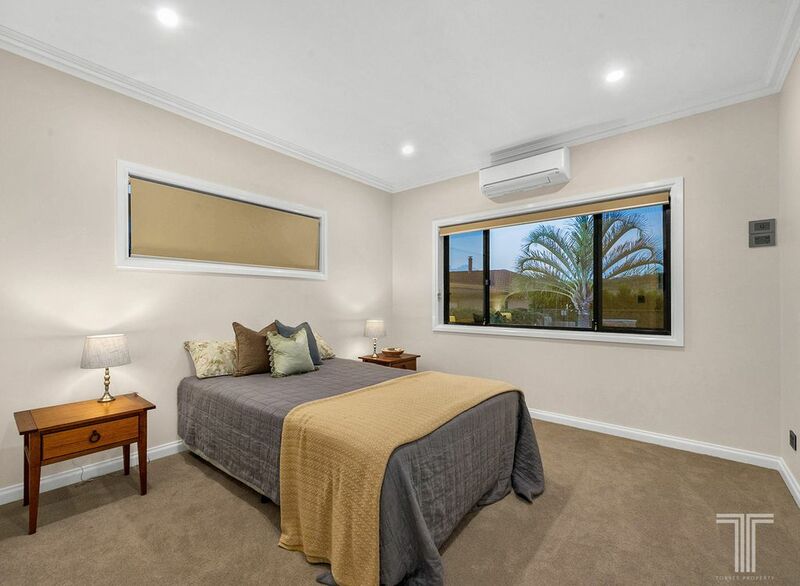 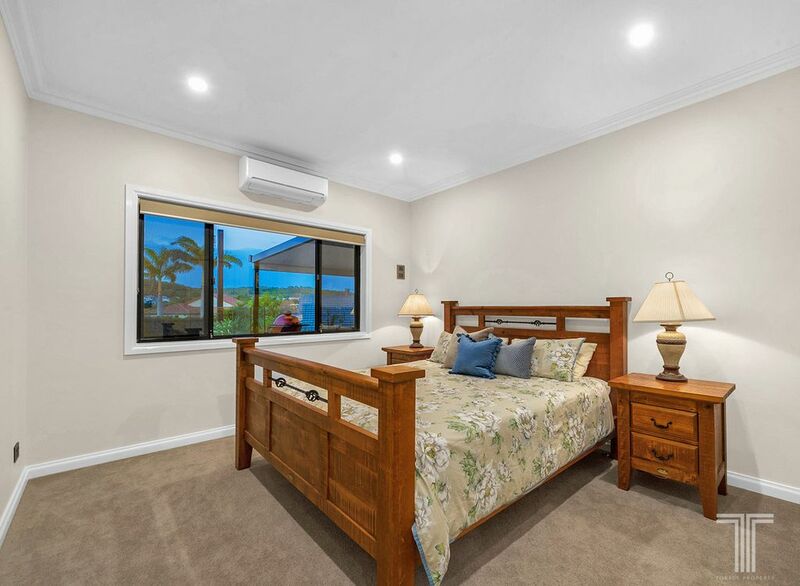 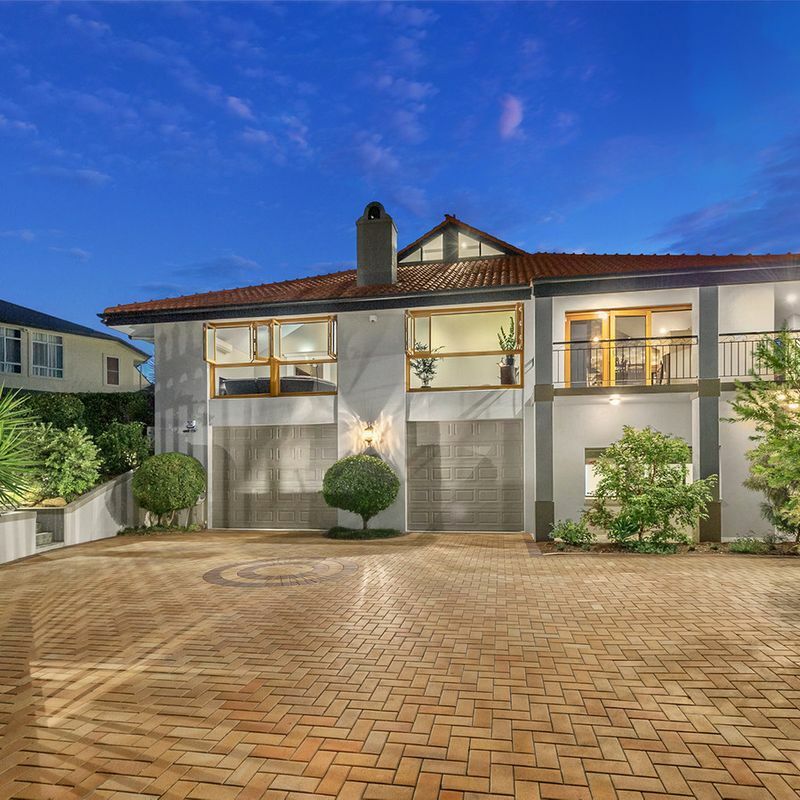 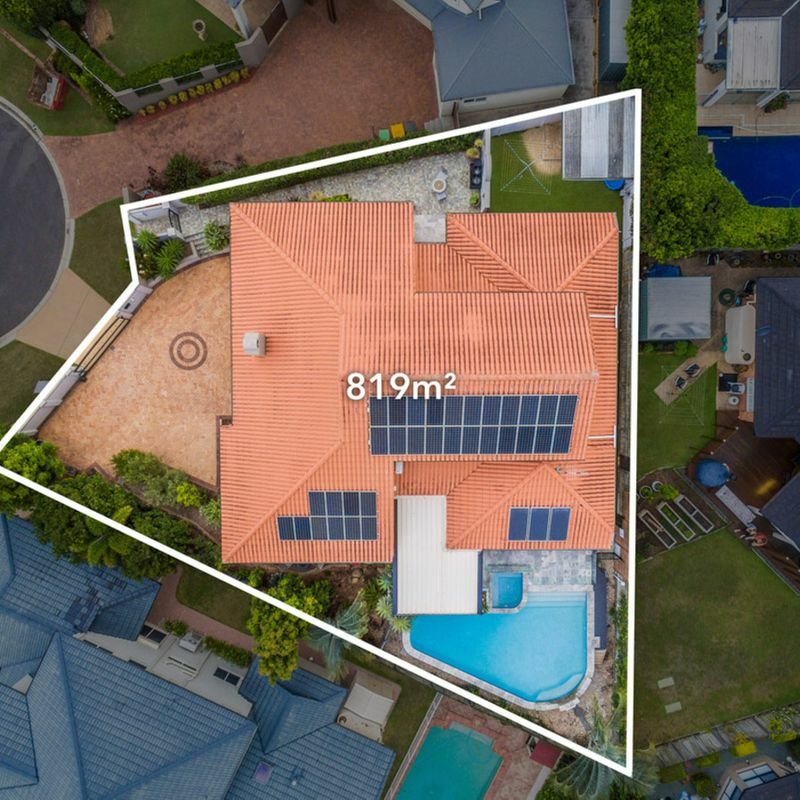 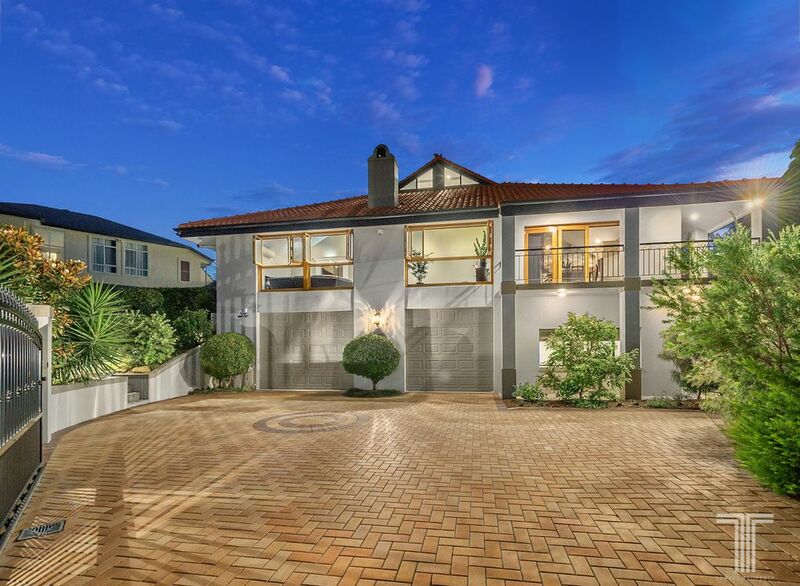 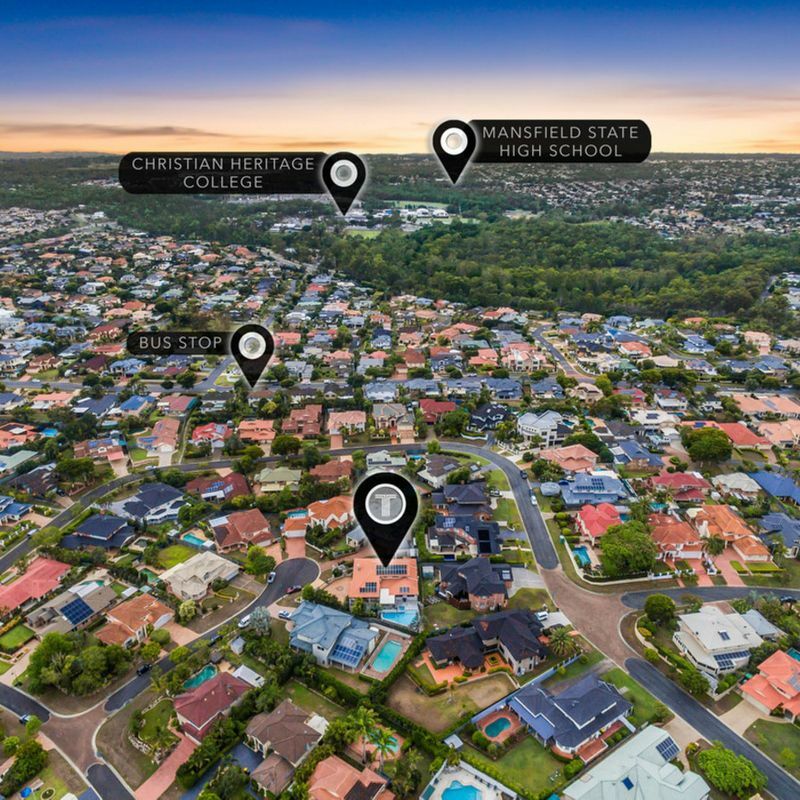 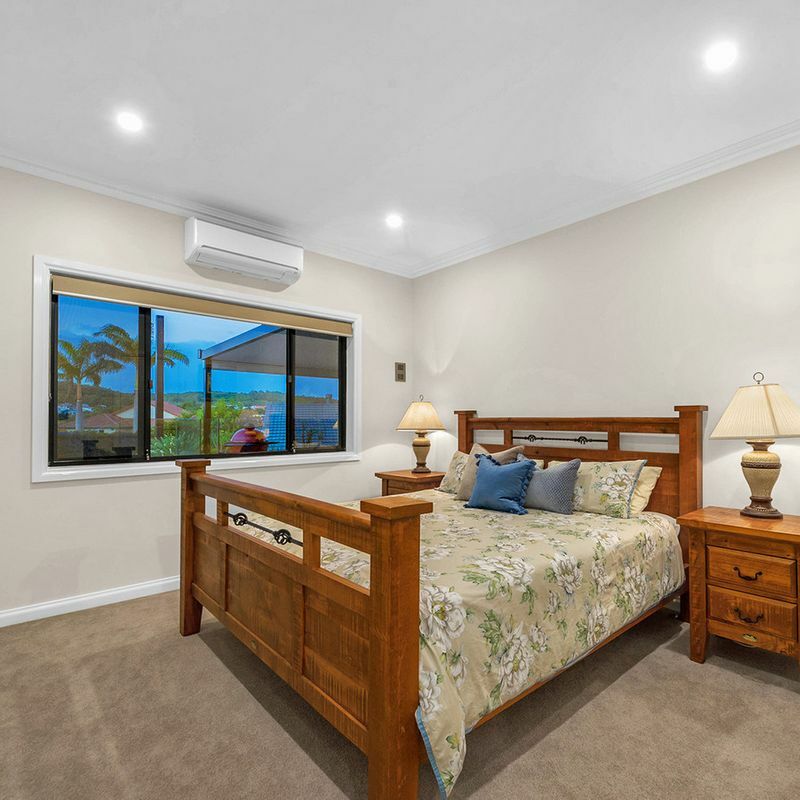 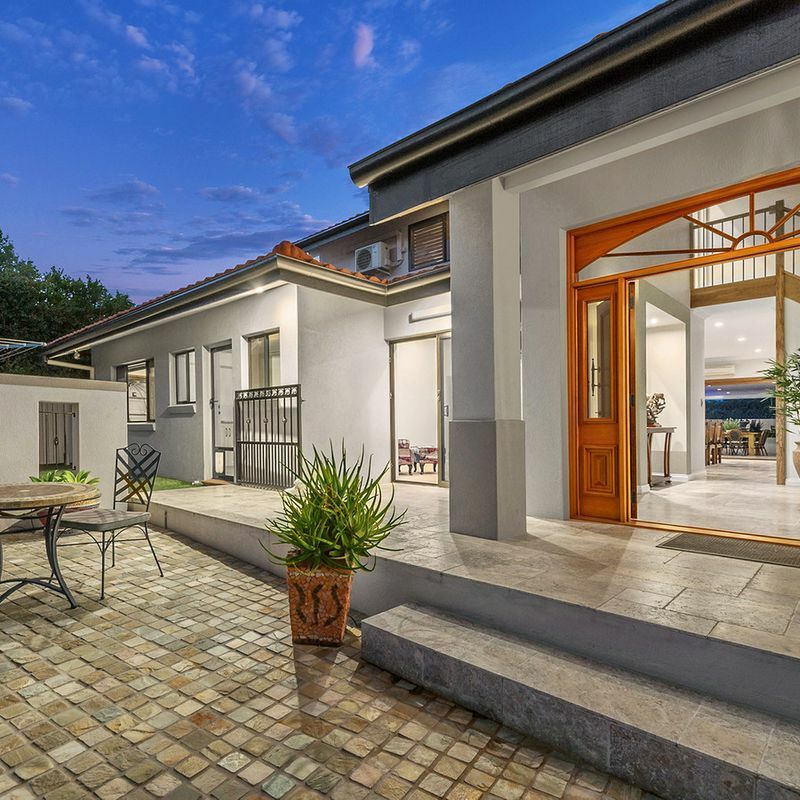 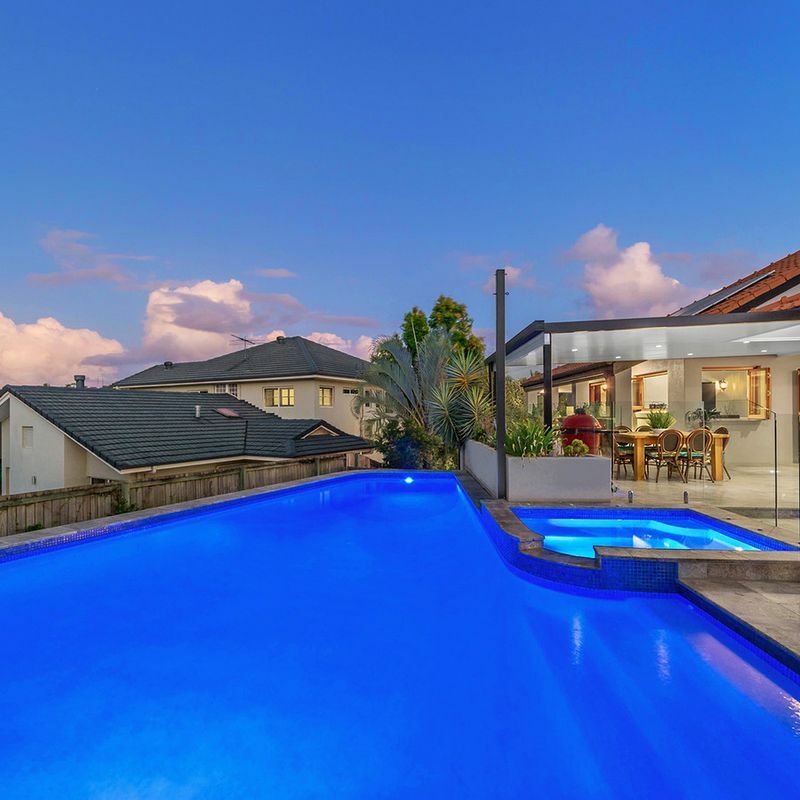 Positioned within a private and quiet cul-de-sac on a sprawling 819sqm allotment, this home is surrounded by local parks and close to Westfield Carindale, Pacific Golf Club, Citipointe Christian College, local schools, shops and Gateway Motorway. 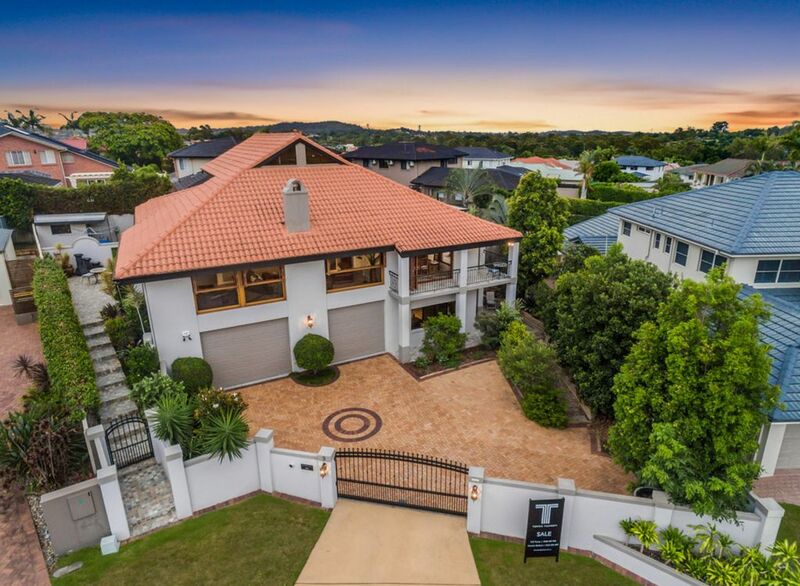 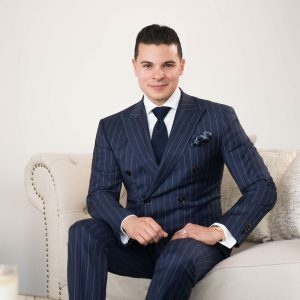 Offering a luxury lifestyle, not to be missed – enquire today.